The legal aid and Jackson reforms should come into force in October 2012, justice minister Jonathan Djanogly confirmed yesterday, as Labour launched a bid to make paying a referral fee a criminal offence punishable by up to six months in prison. It came as a judge at the Senior Courts Costs Office (SCCO) warned that the Jackson reforms are likely to lead to the costs war restarting with a new wave of satellite litigation. 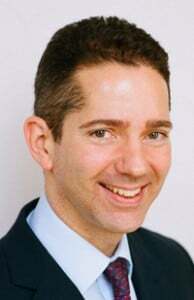 Speaking at the LexisNexis Costs and Litigation Funding conference in London, Mr Djanogly confirmed the planned start date, but said the further reforms included in the solving disputes consultation – such as broadening the RTA claims portal and increasing the small claims limit – would come in a second wave of legislation in the following years. The government response to the consultation should be published shortly, he added. Questioned from the floor he denied that doubling the small claims limit to £10,000 has already been settled, but earlier said “many more businesses and consumers would benefit from the small claims procedure” if the limit is raised; the consultation had suggested £15,000. On referral fees he said the Ministry of Justice is looking at how to include sanctions against the person receiving the fee, as well as the person paying it, and that it wanted to find a way to enforce the ban against unregulated businesses alongside regulated ones. The Legal Aid, Sentencing and Punishment of Offenders Bill returns to the House of Commons for its report stage on 31 October – a week later than planned – and amendments laid on Wednesday by Labour justice spokesman Andy Slaughter include criminalising the payment, offer or request of a referral fee, or entering into an agreement to pay one. The government has opted to make it a regulatory offence because of the difficulty of defining a referral fee in a way that ensures less straightforward arrangements would be caught and lead to a conviction beyond reasonable doubt. The Labour amendment defines it as “a money payment (other than a payment for advertising or publicity) between persons carrying on business for profit, for the purpose of procuring instructions to conduct a claim”. The Labour amendments also seek to prevent claims for whiplash injury arising out of a collision where the cars are going at less than 5mph; criminalise unsolicited text and other messages to encourage people to make a claim; and bring personal injury claims management companies within the jurisdiction of the Legal Ombudsman. 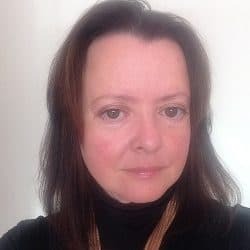 Speaking later at the LexisNexis conference, Master Haworth predicted that “new hostilities” would break out once the Jackson reforms came into force, identifying the revised approach to proportionality as one area likely to cause trouble. The master was one of three judges at the SCCO to break ranks and oppose the Jackson reforms. The government also came under fire over the legal aid reforms from one of its own quangos, the Administrative Justice and Tribunals Council. In a report published today, it said the planned cuts, taken with parallel reductions in local authority and similar grant-aided funding, meant that “in some areas of administrative justice, this may remove the chance for people to access any help and advice at all”. The council said that even in those areas of law where some legal aid provision will remain, such as representation at mental health tribunals, the introduction of fixed fees – the level of which fell a further 10% this month – “has resulted in a lowering of the quality and standards of advice and representation for patients”.